Don't wait until cold weather arrives to turn on your heating system, only to find that your furnace won't turn on, there's a leak, or the blower isn't working. When you call Comfort Services, Inc. to have your furnace serviced, you can expect prompt service and a thorough inspection of your central heating system. We service all types of furnaces, including natural gas, oil, electric and propane. Call us at 1-855-800-2275 today to schedule complete furnace inspection and service or your furnace cleaning. If your home is cold and drafty or you have high energy bills, these are all reasons to call Comfort Services, Inc. to have your home inspected. In addition to heating services, we offer a variety of other home comfort solutions. 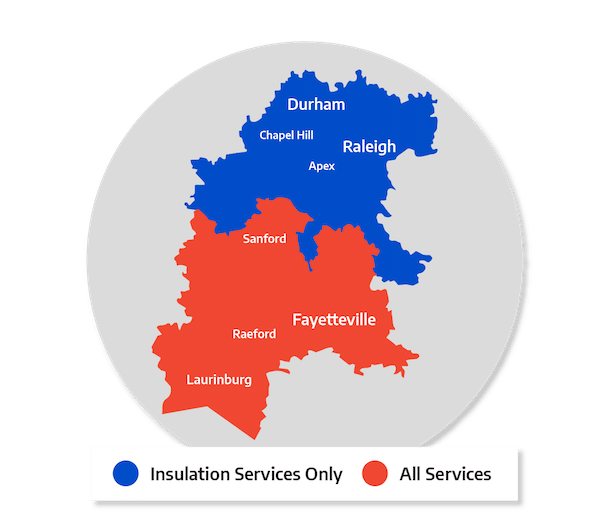 If you live in Apex, Garner, Chapel Hill, Fayetteville, Durham, Fuquay Varina, Fort Bragg or the surrounding North Carolina area, call us today to schedule your annual furnace maintenance appointment!